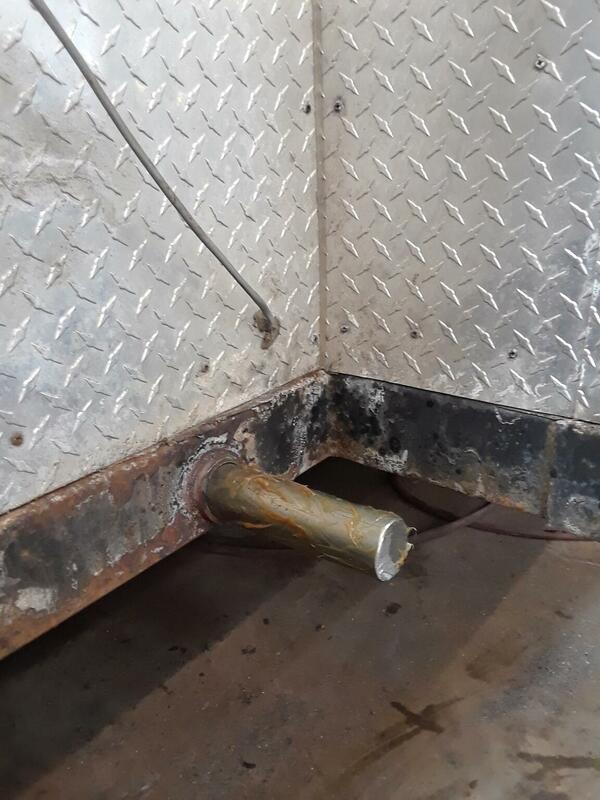 M&G offers many specialized trailer repair options. 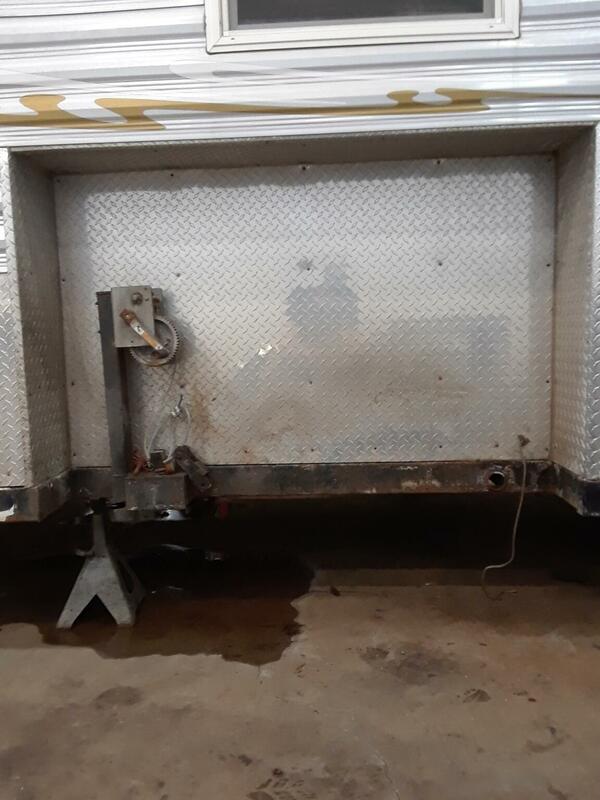 If you don't see it below, please call and let us know how we can help get your trailer back on the road. 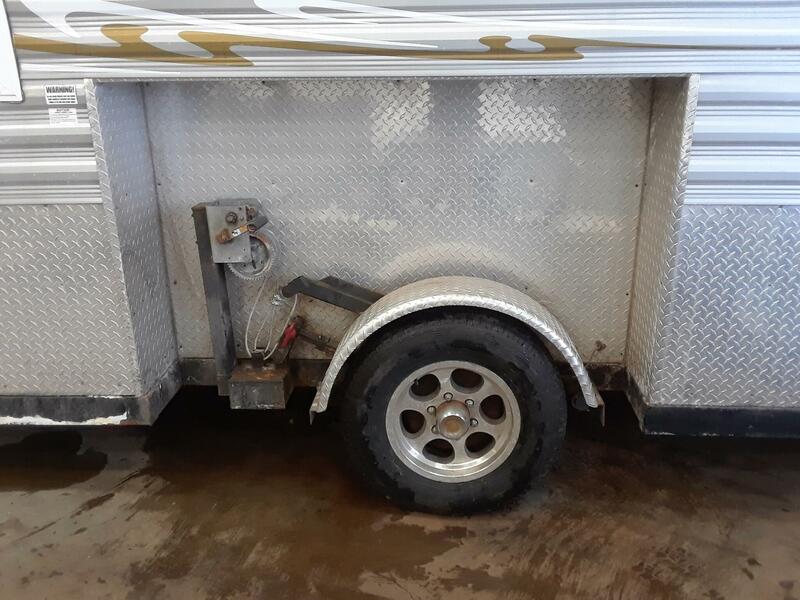 M&G Trailer has a full service shop for doing brake repair and replacement on both electric and surge style brakes, as well as suspension and axle repairs as well. If you're looking for parts, or would like to schedule a repair, call 763-316-4006 today. 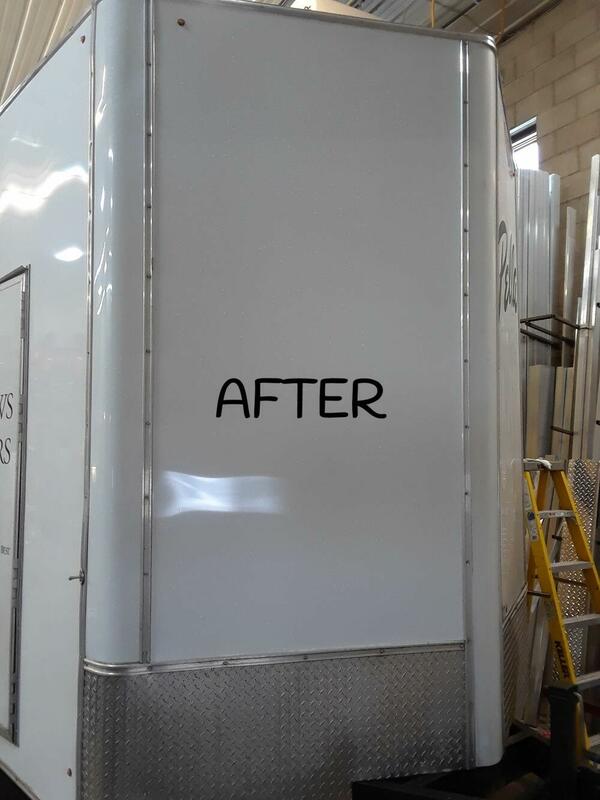 M&G Trailer does several electrical repairs and installation on both 12v or 110v wiring for interior and exterior power on trailers. See below for some examples of the work that M&G Trailer does. If you're looking to have electrical work done, give the Service Department a call at 763-316-4006 today! M&G Trailer sells and installs roof top air units for enclosed trailers. Sizes and prices vary per application. Call us for an estimate. 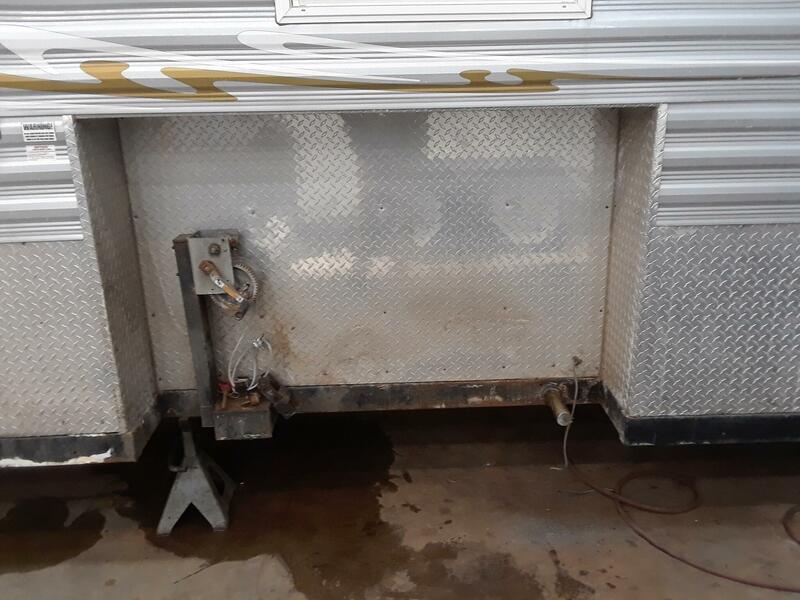 This customer brought their trailer back to M&G because it had been hit by a passing car, and wrecked the front corner of the trailer. 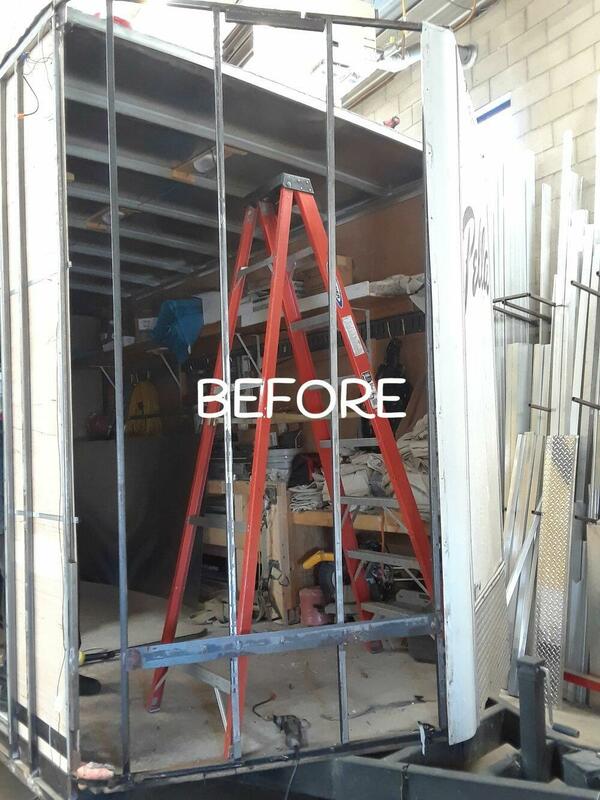 M&G had to repair exterior frame sections, exterior panels, and several different aluminum extrusions. This was all done in one day to keep the contractors downtime to a minimum, getting the customer back on the job as soon as possible. 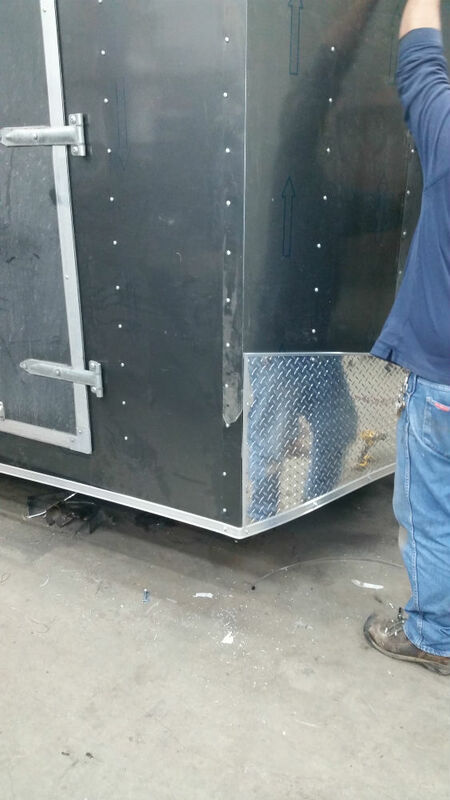 Here at M&G we will get your drop down ice house of any brand back on the road after any type of damage. We have worked on a hand full of Ice houses already this winter and have material on hand. 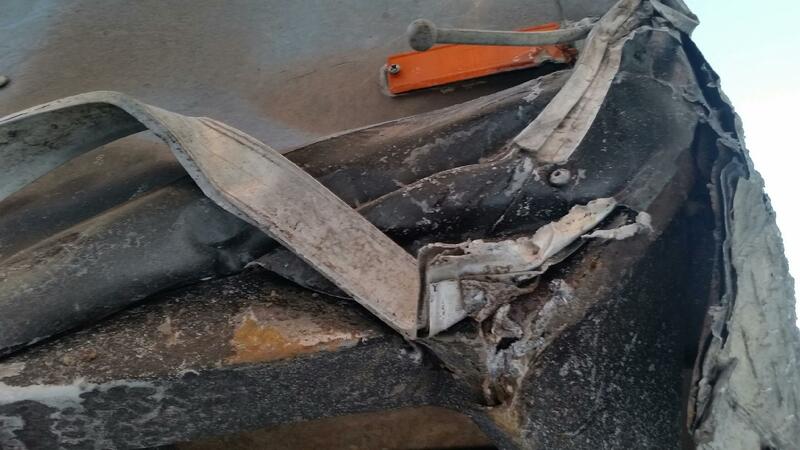 If you have bad wear on your tire bring it in, its better to be safe than sorry. Major axle repair/replacement is our specialty check out some pictures bellow! 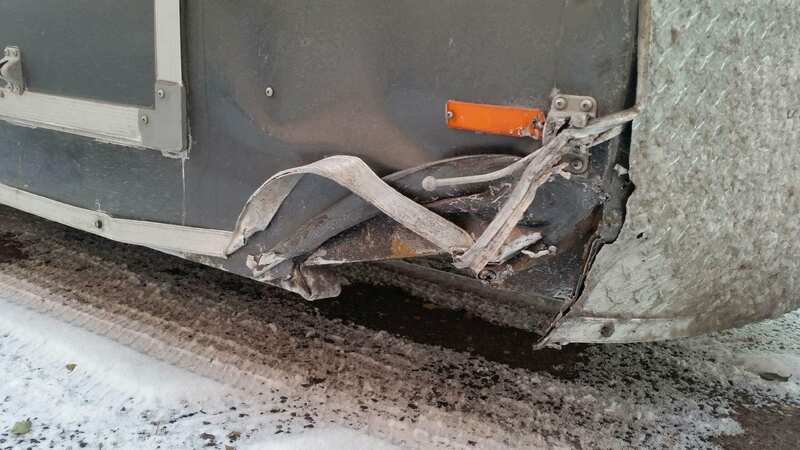 Does your trailer have a couple small scratches or even larger dents? Bring it in and let us bring back the original look. 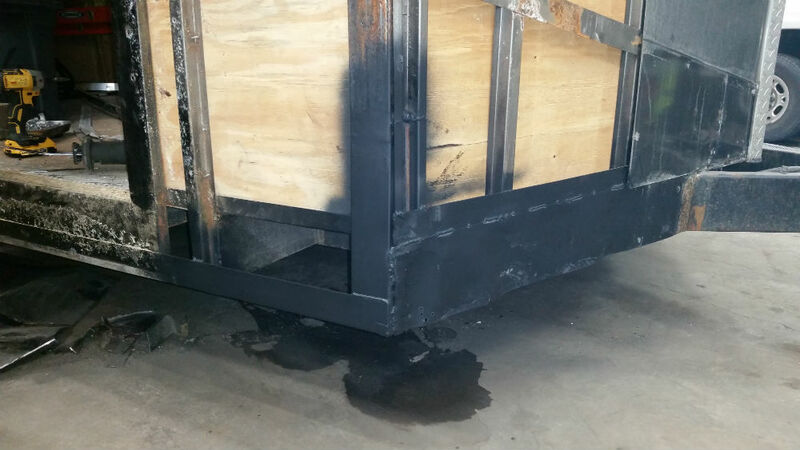 We have multiple colors on hand and can RE-panel any size trailer.